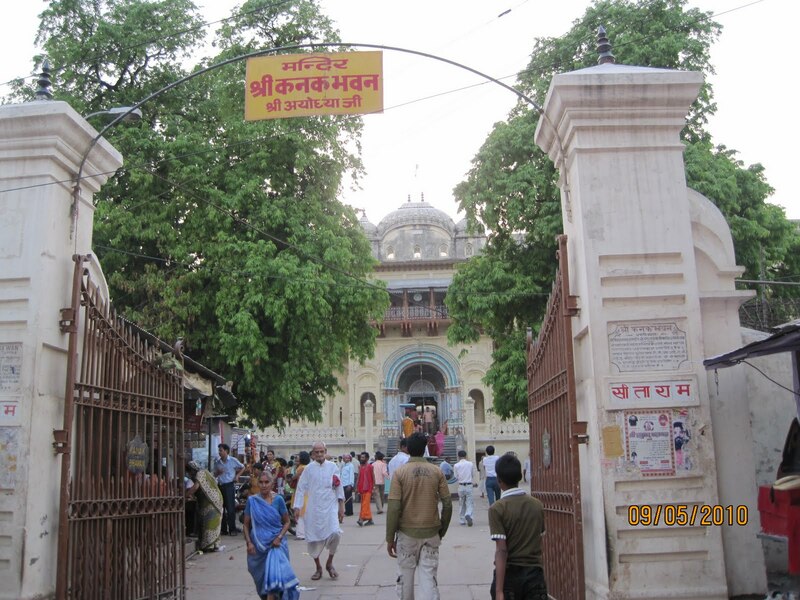 Thiru Ayodhi/Ayodhya/Mokshapuri/Mukthi Kshetram/Ram Janmaboomi is one of the 108 Divya Desams of Lord Vishnu located in Lucknow, Uttar Pradesh. This is one of 108 Divya Desam. Birth place of Lord Sri Rama. 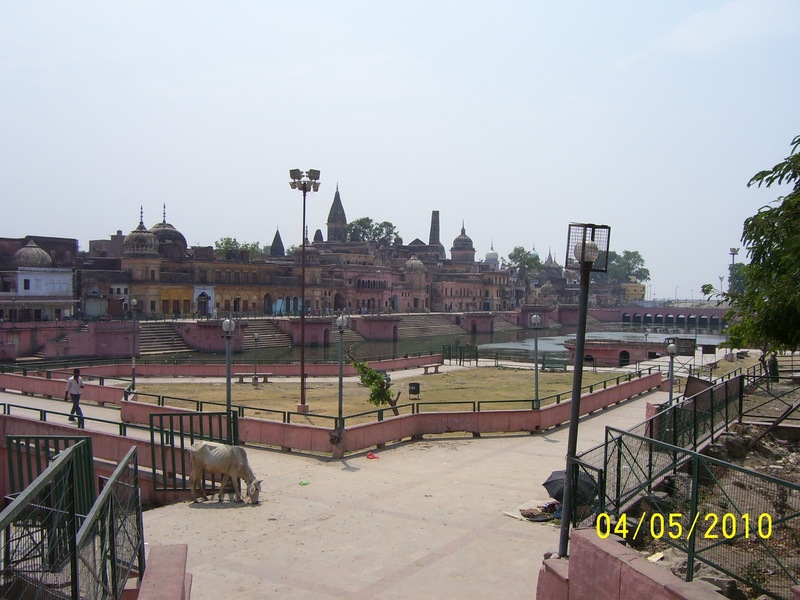 Ayodhya is situated on the bank of River Sarayu. This place is 7 kms from Faizabad. This is a popular pilgrimage centre. 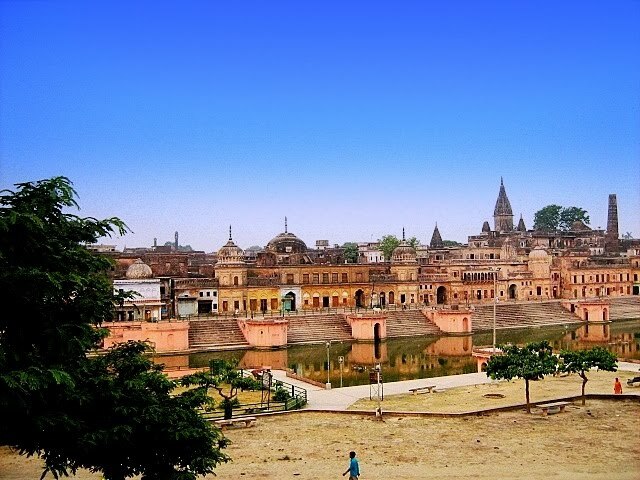 The ancient city of Ayodhya according to Ramayana was founded by Manu. This is one of the seven sacred cities. According to Purana. Ayodha is famous for its close association of Ramayana. It’s a city full of sacred temples and historical significance. Atharvana Veda describes Ayodhya as “a city built by Gods and being prosperous as Paradise itself”. Various faiths have grown and prospered simultaneously in different periods. Jains consider that 5 tirthankars were born in Ayodhya and the first Tirthankar Rishabadev is one amoung them. The legend has that Lord Vishnu gifted a tiny portion of Sri Vaikundham the Abode of Lord to Swayambuva Manu, Manasa Putra of Lord Brahma. As a result, this sacred land came into existence on the river banks of Sarayu, later Lord Vishnu’s glorious incarnation as Lord Rama took place to reinstate the righteousness on this Earth. Ayodhya was the capital of Kingdom Kosala. There are many shrines located within the vicinity of this temple which holds historical importance. The place where the Yagnas performed by Lord Rama known as Thretha Ka Mandir, Kshireshwaranath shrine built by Kousalya mother of Lord Rama to admire her daughter-in-law Goddess Sri Sita. Kanak Bhavan and Kala Rama Temple are the places where Lord Rama blissfully lived with Goddess Sri Sita. There are many Ghats located on the river banks of Sarayu, holy dip on these Ghats known as Ayodhya Ghat, Ram Ghat/Swarga Dwar, Lakshman Ghat etc.. In addition to this there are sacred wells (Vashishta Kund) positioned here are equally capable to eradicates the sins and provides high intrinsic worth. Kanak Bhavan: This is the palace of Sri Rama. You have to climb few steps and enter into a big hall. Here we get to have darshan of Rama’s Paduka. This was the place from where Rama climbed into the chariot, to leave Ayodhya for vanavasam. There is another mandapam in which we have the main sanctum. Here we see Sita, Rama, and Lakshmana. There are two sets of idols we see here, one is the main idol and the other was worshipped by Sri Krishna. This is the place where Rama and Janaki matha lived. Main deity is decorated so well we hardly feel like leaving the place. This is the place where the work is going on for the construction of Sri Rama mandir. There is a model of the temple is exhibited. Pillars with carvings, designed ceiling material, doors and all the designed stones to the sides of the walls are ready. This temple remains open from 07:30 AM to 11:30 AM in the morning and 04:30 to 09:30 PM in the evenings. The timings may change during the months of summer and winter. 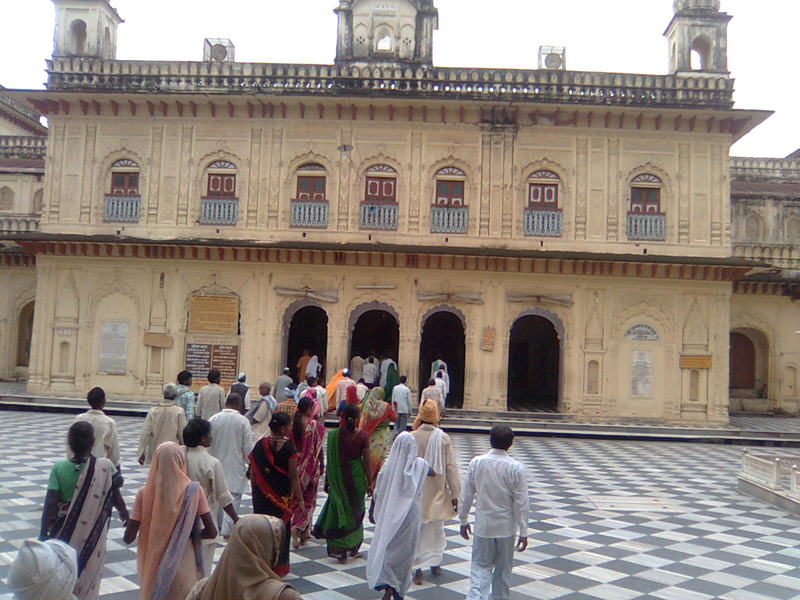 Thiru Ayodhya is said to be the Janmha Bhoomi (Birth place) of Sri Ram and is situated 6 Kms from Faizabad. 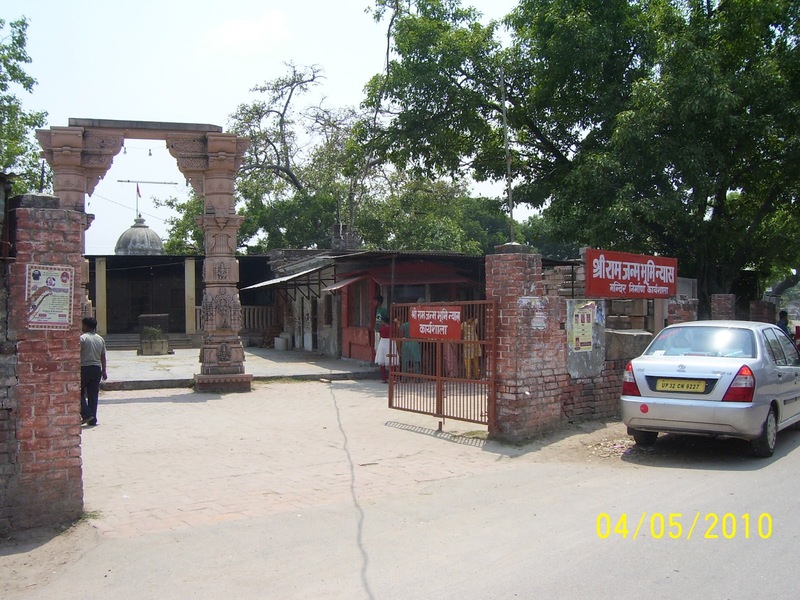 Ayodhya is well connected with other places by road, as it is located on the main highway. Transportation by means of Tempos, Cycle-rickshaws and Buses are available at frequent intervals.